I wonder what's the opinion of @MJdeMarco about Dan Peña. 1. Do they have a sense of humility? 2. Do they talk about processes or events? 3. Do they respond to criticism with substance, indifference or vitriol? 4. Do they make their wealth by the same means that they preach? f0reclone, GMSI7D and ZF Lee like this. 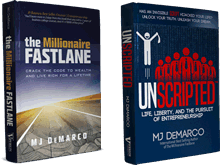 Yes, MJ Demarco is a real guru according to your list. I don't know about Dan Pena but we have to acknowledge that his QLA seminar is like a military bootcamp. Fakers are not allowed there. We can watch some videos of his seminars on his youtube channel. This is hardore training where Dan is shouting at protegees like a military officer. For example : Jason Capital, a succesful guy ( dating and so on ) was a Dan Pena's protege , years ago. Yes, Dan Pena has a strong personality and people can dislike him for that. But i think , this bad boy attitude is his own style and this works well for him. 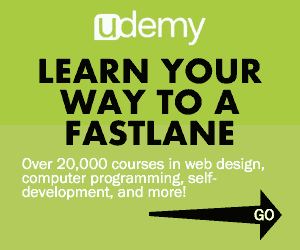 I became a believer at, "YOU DON'T NEED ANY MOTHER F*ckING CASE STUDIES!" KatLee and GMSI7D like this. People don't want to have an argument with him. The guy would destroy the entire building with a rage. KatLee and wade1mil like this. Check him out at The Official Website of Dan Pena. Founder of QLA Methodology | Dan Pena He gives away a lot of his stuff for free. Been seeing closers.com/ Dan Lok ads everywhere... clearly moved into Consult .com guru sam’s model. But the fact Lok write F.U. Monay and has the cars/glam in the ads...that’s Pena’s fault (ex? student danlok.com/daniel-s-pena/). I watch some of Dan Lok's videos from time to time and he often quotes Dan Pena as one of his mentors and one of the people who made his success. Sith always move in pairs, I guess.